Soko J-22 Orao - What an Amazing Aircraft! Now, if you thought that I chose to write about the J-22 Orao because it's Yugoslavian, then I have to admit that you're right. Besides that, I also like this plane's design because it's so simple but good (it's simple because the plane is from the 1970s). When I discovered that J-22 Orao is a Yugoslavian fighter jet for the very first time (a year ago or something), I was very surprised. Even though I knew the country was very powerful at that time, I didn't know that aircraft were made there. This particular aircraft osn't the most advanced and the best aircraft out there, but it is pretty good to be Yugoslavian. 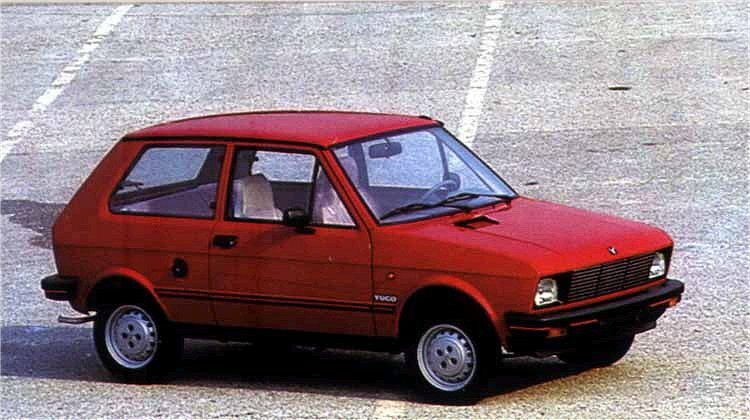 You probably know about the car Yugo which was very popular in the US in 1970s and 1980s. It was considered the worst car ever built by the Americans and the rest of the western world, but believe me, the car isn't as bad as everybody think it is. My grandpa has one of these. He has a 1992 Yugo Koral 55 which is still running like a brand new car (almost). I haven't experienced any problems when I sat in the car, so I guess you can say that it is still in a tip-top shape after all these years. But enough about this car, let's get back to the Soko J-22 Orao. Well, that's all, folks. I hope you enjoyed reading this informal text about the amazing Soko J-22 Orao. It was mosly my opinions about the aircraft becaues this is an informal text and a part of my homework. This is after all a school blog, you know. If you want to know the difference between formal and informal text, you can find it somewhere on the internet because I really don't know how to explain it in a good way. Cheers! This little red fella is a Yugo (model unknown). It is very similar to the one that my grandpa has, but I think this one on the picture has a bit darker red colour than my grandpa's. I also think this one is a Koral 45 or 55 because of the side skirts and the red stripe on the front and the back bumper. Why is the text above informal? If you know the difference between a formal an an informal text, you should be able to tell that this is an informal text. At first, this text has a lot of my own opinions and is written in first person. This is perhaps the main reason that makes it informal. Another reason is that this text has words that are quite common in the society. These words are "don't", "doesn't" and "that's" instead of "do not", "does not" and "that is". Well, that's pretty much everything that makes this text informal and not formal. Fun text about planes and cars. All of which I knew nothing before reading your text. And the informal texts are sometimes more fun to read than the formal ones!